In a city like San Francisco where taxis can be elusive, public transportation is non-centralized, and parking can be exorbitant and challenge to find (or both! ), riding a bike is a great form of transportation. 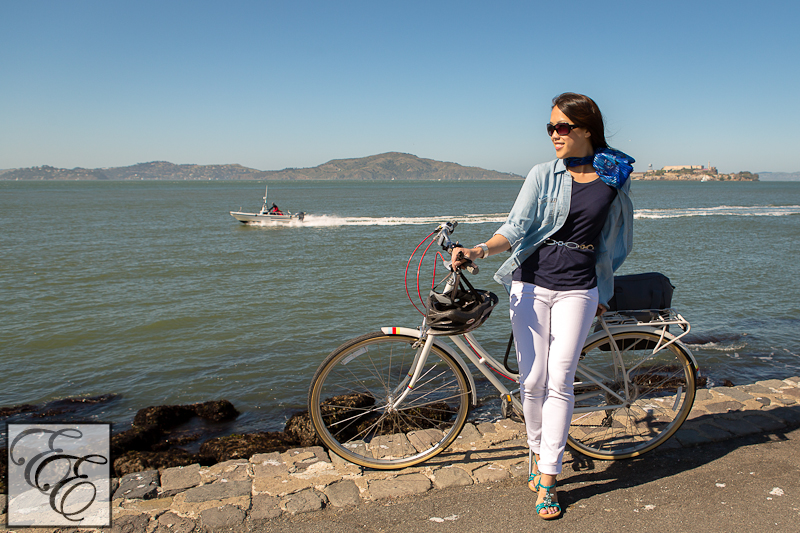 We don’t use our bikes as frequently as we’d like, so on a one of those warm San Francisco afternoons that you just have to take advantage of, we took them out for a spin along the water to the Marina district. 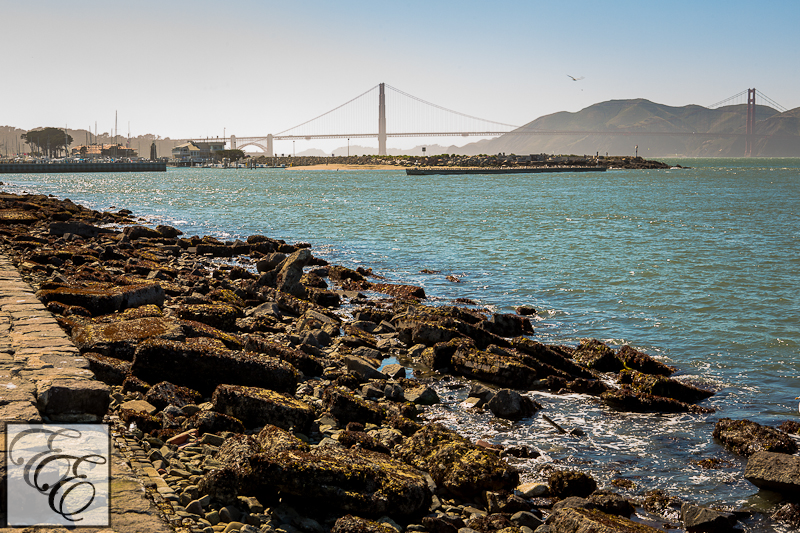 [The Marina piers and the iconic Golden Gate bridge in the distance. 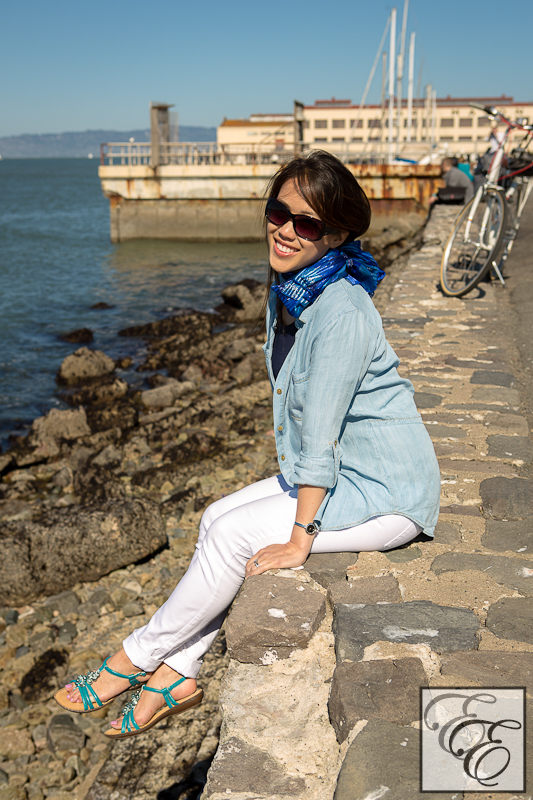 ]For an active lifestyle look that’s both functional and chic, I went for a clean, cool-toned look that was serendipitously complementary with the SF Bay’s aquatic backdrop. 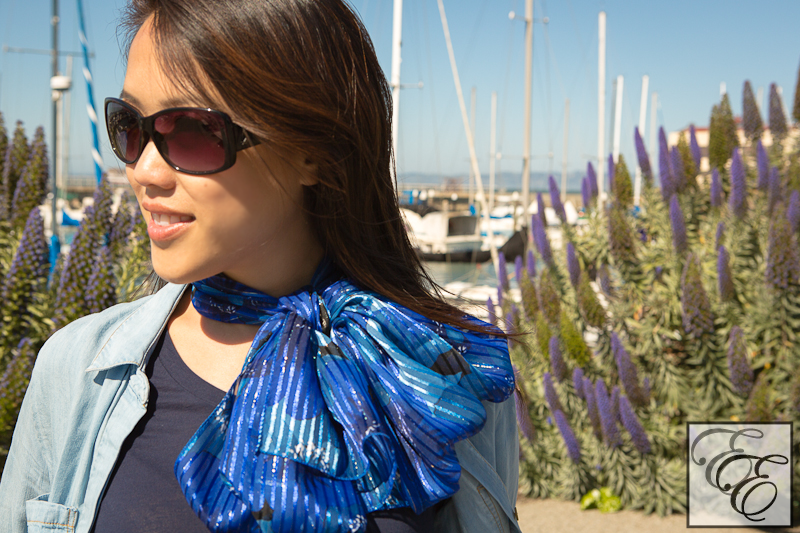 The soft, romantic allure of a silk scarf loosely cradled against the neck is a timeless look of style iconic sophistication. The breezy bow is evocative of Audrey Hepburn, and reminiscent of Valentino – even more so if done with a solid red silk scarf. 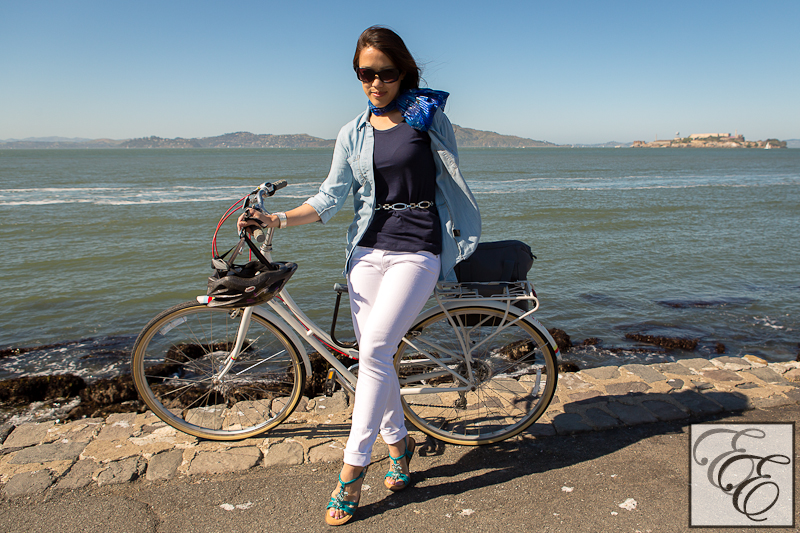 Comfort is critical for a bike ride, and each element of my outfit fits that criteria. 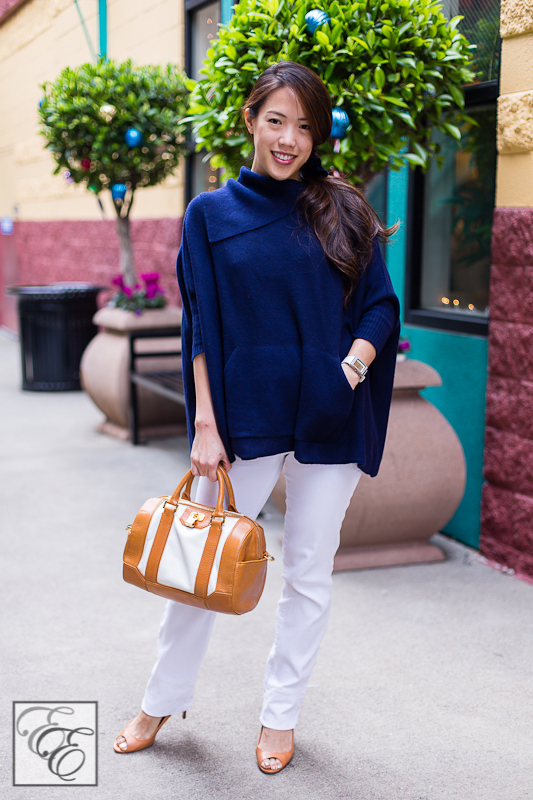 J Brand jeans are known for having stretchy comfort, while keeping their form-flattering shape; no bagginess in the knees. Likewise, a finely-woven tee like this one by Theory and a soft, draping chambray shirt are two must-have closet staples. And Clarks, of course, is known for their comfort; these sandals are playfully dressed up with a cascading cluster of large glass aqua beads. I’ve been on a mission to find my ideal chambray shirt and have tried on a number of options in search of the perfect one. I’ve rejected some well-known brand options because they were either too stiff-feeling, too thick to use as a spring-layering piece, too boxy-shaped (not flattering enough! ), or more than I wanted to pay. When I tried on this shirt by Velvet Heart, it was love at first feel. There aren’t many clothing items that I would feel confident to recommend to anyone, but this is one of them. It’s incredibly soft, it’s made of an eco-friendly material called tencel, and best of all, the price is the lowest of all the options I considered. I got it at LastCall.com for $45 (35% off of their ‘regular’ price), during one of their frequent sales (that range from 30-40% off). You can receive sales promos by signing up for an email subscription, but be forewarned that they send emails almost daily. For sizing purposes, I’m 5’2″, with a 32″ bust and a 25″ waist, and I’m wearing a size small. I had an utter blast on our little spontaneous outing. Little excursions, often with no preplanned destination or purpose, are a great way to relax and enjoy the company of those close to you. It’s all about the simple joys! Have you gotten away to enjoy a favorite local spot recently?